One of the highlights of the year so far in the points and miles world was a recent revelation with Korean Air. 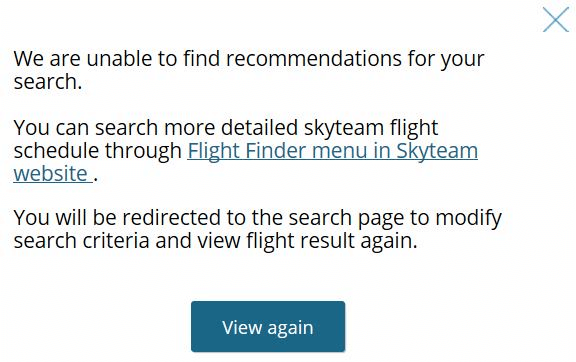 Even though they’re late to the party, you can now book certain SkyTeam partners online, a much-needed improvement over the previous system. Before, you could only book awards online on Korean Air’s own metal. For all their partners (alliance and non-alliance), you had to go through an extremely tedious and time-consuming process of calling Korean Air’s customer service, waiting for a callback, and then confirming availability. Their agents are friendly, but not very helpful. Despite the hassles of booking award flights, there are advantages with Korean Air. They have more U.S. gateways than any other Asian carrier, and they also feature an excellent first class. Further, you can convert Chase’s Ultimate Rewards and Starwood Preferred Guest points to Korean Air’s SkyPass miles. For more insight, check out our overview of the Korean Air SkyPass program to learn more about their loyalty program. Also, check out our How-To on booking Korea Air award flights. Like other airlines, Korean Air has an award chart for flying solely on Korean Air, and an award chart for partners. As you can see, Korean Air offers some great values especially considering how much you might pay using Delta SkyMiles for the exact same flights. Note: while you can mix SkyTeam partners (including Korean Air), you cannot mix alliance and non-alliance partners on a single award. Before using Korean Air’s website to search for your award, we recommend using Delta’s website to search for availability on most SkyTeam partners. Delta.com is quick, and you can easily search for flights (award and cash) right from Delta’s main page. 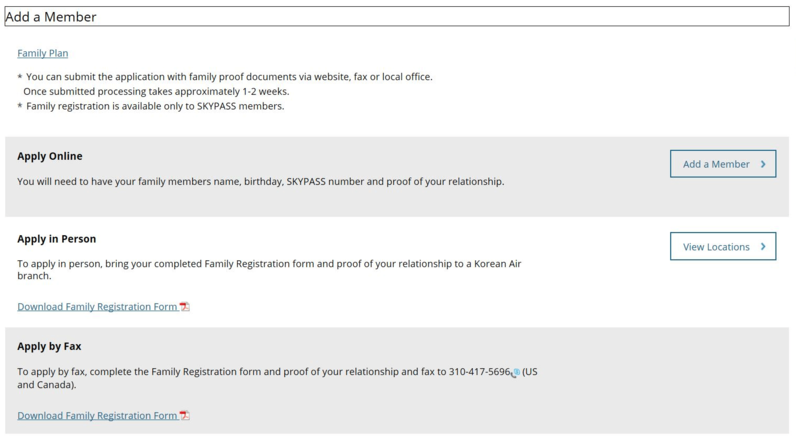 Before you can search for awards on Korean Air’s site, you’ll first need to establish a Korean Air SkyPass account which is fairly straightforward. Look for the Join Now link near the top. 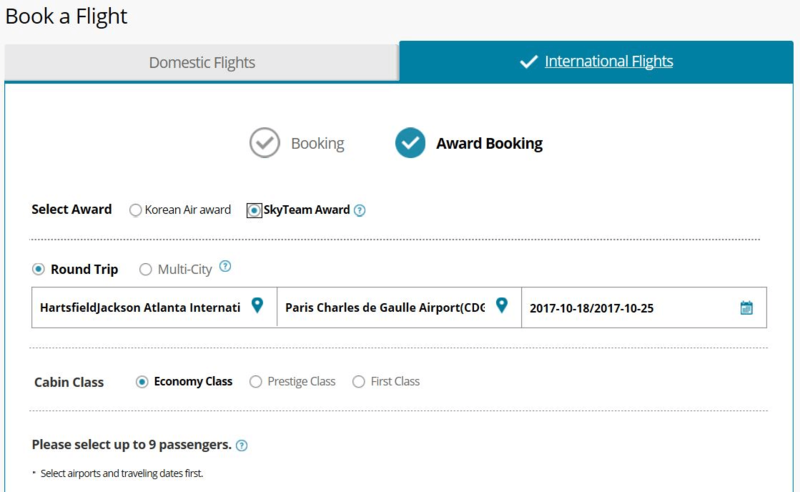 Next, you can search for award flights by selecting Book a Flight, then Award Booking at the top of the page. Make sure International Flights is highlighted, Award Booking is checked, and you’ve selected the SkyTeam Award radio button. Then, choose Round Trip or Multi-City (one-way awards are not allowed). Then, fill in your origin, destination, and dates. Below that, you can select your class of service: Economy Class, Prestige Class (their term for Business), or First Class. Just below that, you’ll see passengers to select for your itinerary, and your name should appear here and be preselected. We’ll revisit this later. Once all the fields are filled in, click Find Flights. I find Korean Air’s website to be a little slow, but if it finds availability with the routes and dates you selected, they will display in two columns: one for the outbound flight, and one for the return. If nonstop options are available, they’ll display at the top of each list. However, if there is no availability, or there is not an available route between your city pairs, you’ll get this error message instead. Once you select your flights, scroll down to click choose your currency (the default is USD), and click Calculate. The page will refresh as their system calculates the number of miles you’ll need for your selected flights. When the calculation is complete, you’ll be shown your fare in miles, taxes, and fees. 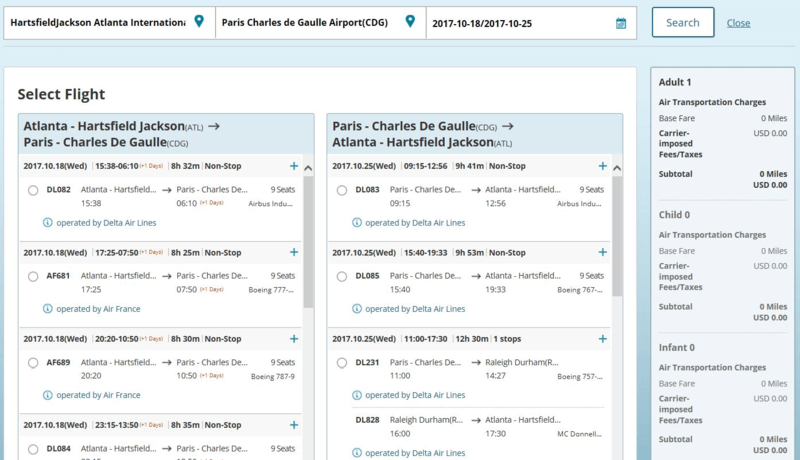 You’ll notice that on a sample Atlanta to Paris search in economy, only 50,000 SkyPass miles are needed, but you’ll also see that the carrier-imposed fees (also known as fuel surcharges) are quite high. 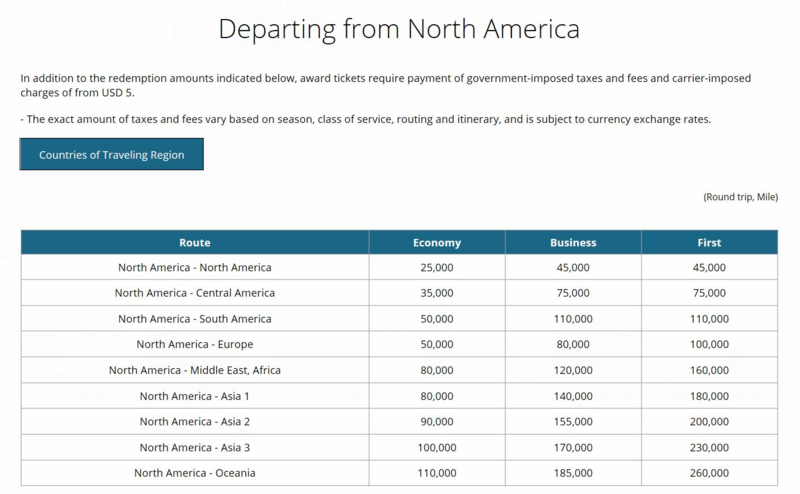 A business class fare is 80,000 miles, but the fees are only $150 more. This is still a high surcharge, so depending on your class of service, these fees may negate the value of your points and you’d be better off paying cash. At this point, you need to have enough miles in your account to complete your booking, otherwise you will get an error message. Earlier, I mentioned that when searching for flights, you’ll see your name listed as an available passenger. In order to book additional passengers on your award itinerary, you need to complete a few extra steps. While logged in, click on the link for My Dashboard. 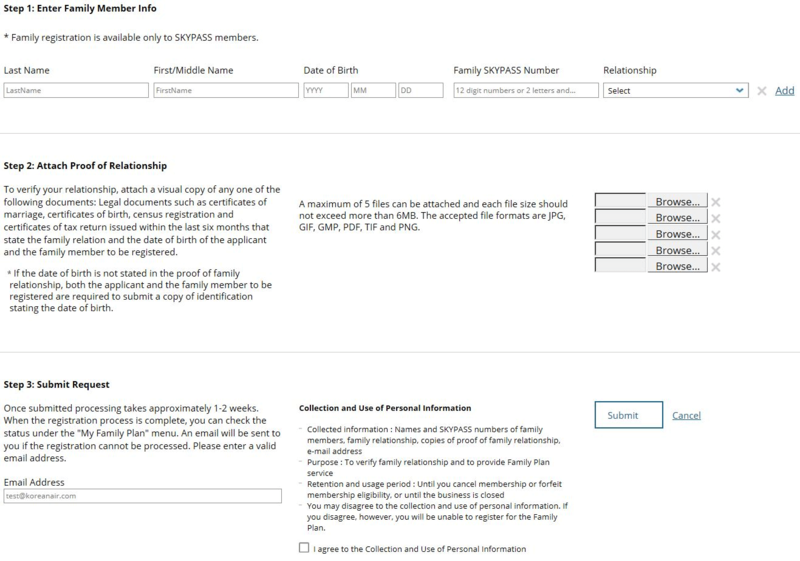 On the next page, choose Family Plan, then Add a Member. Choose the online option. Fill in the fields for your relative, then click the dropdown box to choose their relationship to you. If you have a friend or someone that isn’t one of the choices, you cannot add them to your profile, and therefore not book them on your itinerary. In the next section, you’re required to upload a file proving your relationship. Example documents include a birth certificate, marriage certificate, or tax return. Once you have everything filled out and uploaded, you can submit your request. It can take 1-2 weeks for the registration to be complete, so this is best done ahead of time. If you’re ever planning to use SkyPass miles, register your family members well in advance so that they’ll be part of your profile whenever you decide to actually book award flights. While Korean Air’s online search ability for partner flights isn’t perfect, it’s a big improvement. Unfortunately, if you want to book a partner flight that is not yet available online, you will still need to call and go through their old process.